Easy to Operate: Hydrostatic Steering – Smooth, effortless turning is comfortable and reduces fatigue; Maneuverable – Ideal size and a tight turning radius make maneuvering in tight spots a breeze; Left Side Brakes – Brake pedals for HST models are located on the left side for easier operation and smoother turning; Excellent Control Location – All the controls for the MX Series are located right where you need them to be, making operation quick and efficient; Electric-Over Hydraulic PTO Switch – Push and turn starts and one push stops the PTO; Full-Opening Metal Hood – Allows for easy access to all your daily maintenance items. Performance Matched Front End Loader: The Kubota LA1065 Front Loader is packed with features to make it more versatile and easier to use: Kubota Built Front Loader – Kubota’s front loaders are built by Kubota and specifically designed to maximize the performance of the front loader and tractor; Lift Capacity and Height – With over 9 feet of lift height and 2,275 lbs. of lift capacity, the LA1065 is ready to take on any task; 2-Lever Quick Coupler – A standard 2-Lever Quick coupler allows for quick and easy attachment changing – buckets, pallet forks, bale spears or any number of other front loader attachments are ready to make you more productive; 4 Bar Bucket Linkage – Allows for additional dump and rollback angles, helping you scoop and dump more with each load; Top Quality Loader Valve – The LA1065 features a loader valve that allows for simultaneous boom and bucket operation and contains a regenerative circuit to increase dump times – all these features increase speed and productivity; Quick Detach Loader – The LA1065 can quickly and easily be removed from the tractor without tools or buying additional “parking” kits, making it more versatile and easier to use. Performance Matched Backhoe: Kubota Built Backhoe – Kubota’s backhoes are built by Kubota and specifically designed to maximize the performance of the backhoe and tractor; Optional Thumb – Adding a thumb increases versatility and makes lifting objects even easier, available in either the economical mechanical or the efficient hydraulic version; Easy To Remove – The Kubota BH92 is easily removed without the use of tools; Ease of Use – Designed with plenty of dig depth and reach, smooth hydraulics, cushioning valves to prevent shock when the dipper reaches the end of the cylinder stroke and ample room for the operator, you will find the BH92 is not only easy to use, but a pleasure to work with. 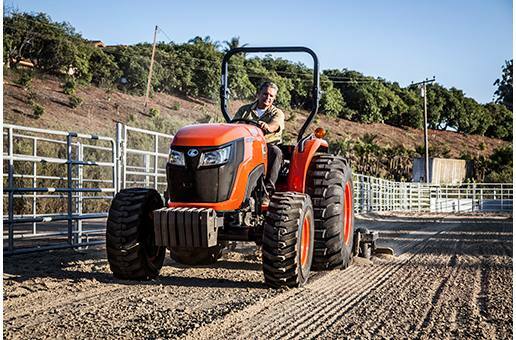 Multiple Powertrain Options: 3-Range HST (Hydrostatic Transmission) – Kubota’s MX Series Tractors feature a servo control HST, which makes operating smooth and easy. The servo control allows that operator to apply a consistent amount of pressure on the HST pedal to travel forward or reverse, regardless of the load on the tractor. This makes for a smoother, shock free ride and reduces fatigue during long periods of operation. Synchro Shuttle Gear Drive Transmission – The Kubota MX4800 and MX5200 also offer a gear drive transmission with Kubota’s Synchro Shuttle. With 4 speeds and 2 ranges, these transmissions are designed to allow the operator to easily find the correct speed for almost any application. This, combined with the easy to use synchro shuttle forward/reverse, creates a tractor that is right at home, no matter what the task. 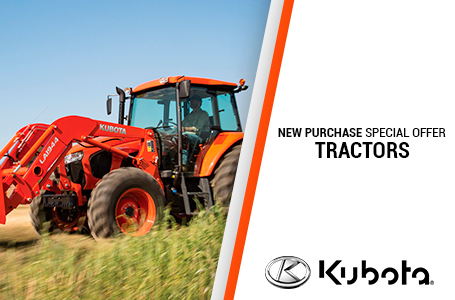 From quick direction changes like front loader work or a steady pace like seeding, the Kubota MX Series is a great choice. 2WD or 4WD Models – Not everyone wants or needs a 4WD tractor. With Kubota, you have a choice. 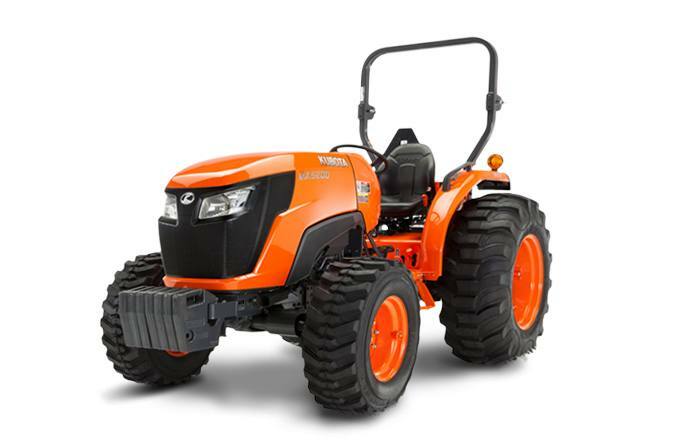 The Kubota MX4800 and MX5200 both offer a 2WD configuration with a gear transmission for those customers who need a larger tractor, but don’t want or need 4WD. Operator Comfort: High-Back Suspension Seat – Provides comfort and support no matter how long the job takes; Easy-to-Read Dash Panel – Large and easy-to-read gauges make monitoring your tractor quick and easy; Full-Flat Deck – Provides ample leg room for a comfortable ride and enables safe and easy mounting/dismounting; Plenty of Space – 30 spacious inches between fenders gives you all the room you need to work in comfort; Ready for a Long Day – Standard cup holder, tool box and large fuel tank means you’ll be ready for a long day in the field.